Well, if i buy this phone, i only use for calling, for SMS, camra and for music, basicly i want try tochsreen phone, but i dont like big phones. i wthink this phone is good for me. And what you thinking about this!? Hi, Everybody! Well, is this phone good? 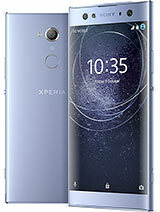 Nokia 5530 vs SE XPERIA X8? Is the camera good? Is the soft good? Any freezing? Is the tochscreen good? Is it worth ~€ 200? 5800 v this phone, if you don't mind the light sensor giving varied brightness, by far this phone is better. Higher screen res allows more apps to be used. Also the fantastic gpu plays games that normally need a 1ghz processor to run. Upgrade to 2.1 on this phone may help, as only 1.6, but with Sony front end you may not notice much difference. 240x400 is odd for Samsung, old technology now, so x8 better, very classy phone for money. flaw the light sensor. Just like the x10 you cannot turn it off. Hence obtaining full brightness in low light impossible. Got rid of my x 10th mini as could not stand this flaw! Still, having bought the phone on o2 from Tesco at only 129 UK pounds have to admit a bargain. The audio quality is awesome, runs raging thunder at blistering speed, thanks to decent gpu. Video and camera do not display full screen when used, and video playback only full screen with app like realplayer, give 9/10 overall. Ahhhh i am so confused. i want to buy set. please suggest x8 or samsung i5800. its a good phone with price range 224 usd or Rp 2,000,000 in indonesia. sambhav, 09 Oct 2010go for samsung galaxy 3..much better.autofocus camera,android 2.1 upgradeable to 2.2..,multi t... morethe Galaxy so lagging. Are u sure better? Price also not acceptable. If so I get HTC Desire better. I tried HTC Desire.. already 2.2 in it. But android 1.6os what are u doing se? hey guys can we get applications and games on SE-X8...do they wrk.....whch is better 4r playing games SE-X8 or Nokia X6..want 2 buy bt confused in between this two...pls suggest.. I'm sure both player can play divx/avi files in x8.I don't have android phone but I'm planning to buy x8.Tell me which is best(yxplayer/Rock). go for samsung galaxy 3..much better.autofocus camera,android 2.1 upgradeable to 2.2..,multi touch..faster processor..lower price around Rs 11500..
hey guys which one is much better??? X6 of SE or X6 of nokia??? Yo guys can someone perform a battery test please check how long will the battery last with heavy use and light usage... reaally appreciate it if someone gives the result coz i am planning to buy this but i am afraid that it may have the possibility that this phone is poor in battery life and i am a power user so i dont like dead phones please need help. which application will play avi files in the phone?